The Mitsubishi HVAC division of Mitsubishi Electric opened in 1980, and has since been developing new technologies and expanding throughout North America. It’s now regarded as an authority in the industry and offers a variety of ductless technologies for their central ac unit‘s efficient cooling and heating around the home or business. Mitsubishi HVAC equipment in general is designed to operate quietly. Whether outside or inside, units are designed not to be disruptive. Indoors units have low-speed fans which operate more quietly than the high-speed fans used in other equipment. Two separate filters are used in most of the HVAC equipment sold by Mitsubishi for enhanced filtering and cleaner air. Running a Mitsubishi furnace or central air unit in your home is likely to boost the air quality within your home over time thanks to this advanced filtering technology. The majority of Mitsubishi ductless systems qualify for Energy Star certification. They use less electricity as the low efficiency products that are sold at bargain rates. Mitsubishi is a good source of energy efficient equipment when trying to cut energy costs. Mitsubishi equipment comes with comprehensive remote controls for convenient operation. The controls offer control over temperature, fan speed, and other advanced features. The controller also has an on/off timer, making it possible for you to set your heating or cooling units to run at specific times. 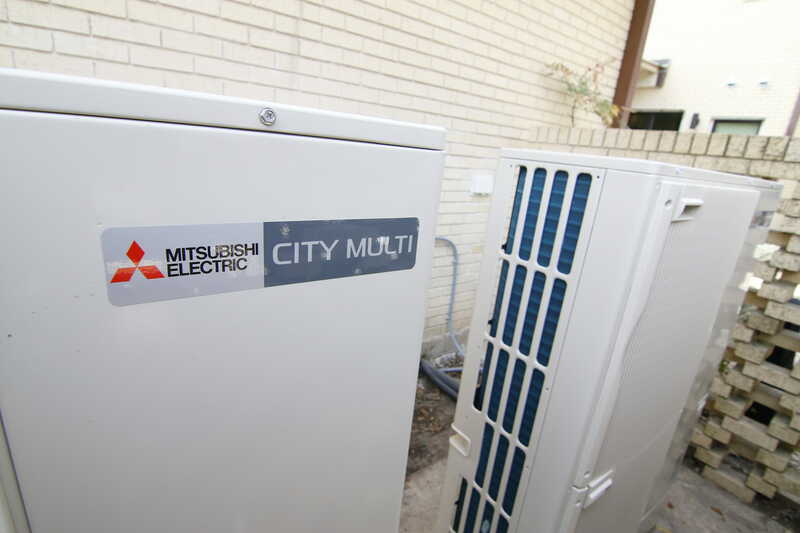 Mitsubishi is one of the few HVAC companies that offers inverter heat pumps for sale. These heat pumps make use of inverters to produce just the amount of heat needed to heat up your space. They operate at subzero temperatures effectively and can make a heat pump usable year-round in most climates. Mitsubishi offers a range of air conditioners that are designed to work with one or several air handlers. The units work in residential and commercial settings and pair nicely with both small and large spaces. Mini split units run efficiently while supplying heat and cooling to the same space. Mitsubishi offers wall-mounted and ceiling-mounted mini-split units for your home that can offer all the cooling and heating needed for a space. Both furnaces and heat pumps are available through Mitsubishi. Each is a ductless solution designed to offer efficient performance. Getting equipment for your home with Mitsubishi is simple even if you don’t have money saved up for the purchase thanks to financing options. The company offers custom financing so that one expensive heating or cooling purchase can be translated into many affordable monthly payments. Mitsubishi offers quality products and a lot of features that you simply won’t find with other companies, but you won’t enjoy any benefits from the company if you don’t invest in a quality installation. The best way to locate a high quality technician to repair or install your system is to look for a Factory-Authorized contractor to do the job. These contractors are trained and authorized by Mitsubishi itself to work on their equipment. When you hire one of these professionals you know they know what to do with the system and how to handle it properly. Mitsubishi HVAC is a reliable source of equipment that can be trusted. When searching for advanced heat pumps, highly effective controllers and quiet equipment that won’t disturb, Mitsubishi is an excellent option.